The Last day to take advantage of our Summer Season Pass Sale Pricing. Let’s face it, we had one heck of a season, and we don’t want you to miss a single flake for 2018-2019. Buy now your 2018-2019 Season Pass today for a full winter of fun! Get yours now! Castle Mountain Resort is excited to announce it has joined the Powder Alliance for the 2018-2019 Season. 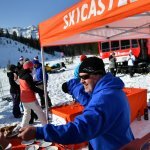 Season Passholders at Castle Mountain Resort are able to ski up to three free days at 15 premiere winter destinations in four countries. 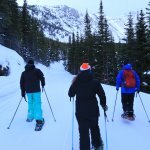 Anyone that purchases an anytime season pass (excluding Mid-Week, and Corporate Passes), will have access to all participating resorts which span four countries and two hemispheres, free of charge. Restrictions do apply and all tickets must be used in the same season as the accompanying pass. Tickets are free Mid-Week, and Half Price on Weekends for a total of 3 discount days per resort. Holiday periods are blacked out at the discretion of the individual participating resort, please check with the participating resort prior to arrival to determine if they are on a black out period. Stay tuned for additional resorts in the coming months. For more information check out the Powder Alliance. CMR Requires valid student ID along with a copy of the current course calendar, or letter from the Registrar’s office, indicating the student is enrolled in a minimum of 3 classes per semester. Co-op students remain eligible with a letter from an accredited College or University. Students enrolled in on-line courses and apprenticeship programs do not apply. Failure to provide proof of enrollment will result in an increase to the current Adult Season Pass rate. Family rate eligibility is based on 3 or more members defined as at least one parent (adult) and related dependants (juniors or children) living within the same residence. Students and Tigers (5 and under) will not be included in the Family Count, but are eligible for for discounted passes, under our individual pass rates. Castle Mountain Resort reserves the right to determine final decisions on all family season pass applications.